Find the best Cyber Monday deals on Ikea furniture and other home accessories after Black Friday 2018. Funtober will track down all of the online sales on sofas, kitchen accessories, desks, bedroom furniture and more on the Monday after Thanksgiving for Cyber Monday 2018. 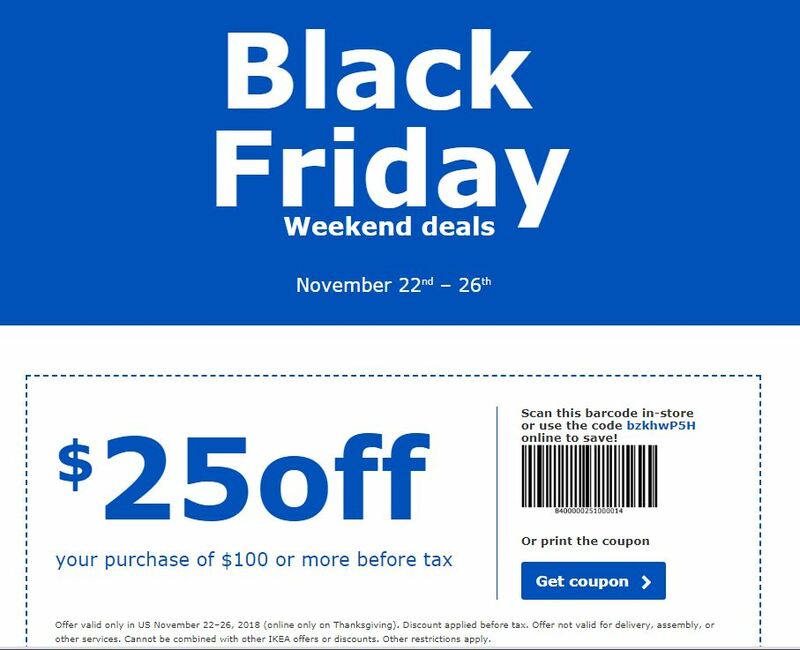 Ikea is running its Black Friday weekend deals through Cyber Monday and providing a coupon of 25% off of your purchase of $100 or more before tax. They are also offering special discounts for Ikea Family members only during this period. Many stores like Ikea are also offering a Cyber Week special that will extend the price discounts on furniture across the entire week rather than leave it limited to just one day. We will wait and see what Ikea does with its deals this year. Ikea was originally founded in Sweden and now is a multinational company that makes ready-to-assemble furniture, kitchen appliances and home accessories. Founded in 1943, it is known for its easy to assemble home furnishings and modernist design. The company operates more than 400 stores in approximately 50 countries.